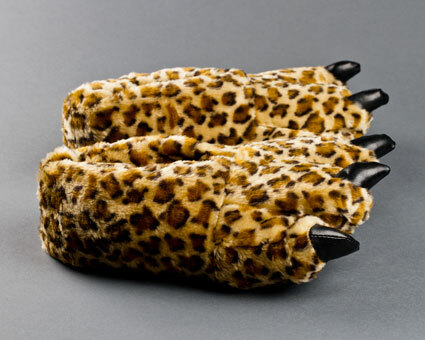 Pick your spots with these cozy leopard paw slippers. 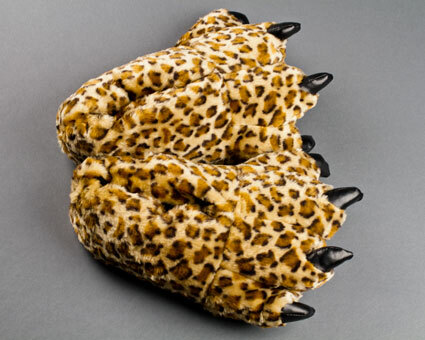 Detailed with great flair and rich colors, the leopard paw slippers provide full coverage and thick, plushy soles. 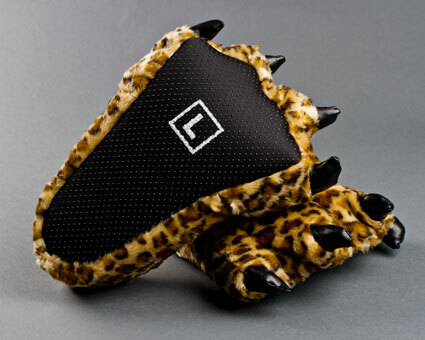 Available in multiple sizes, they are purrfect for all members of your litter. 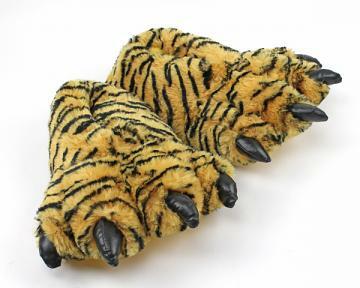 great slippers, came on time. Love them. The only reason I didn't give 5 stars, is I just don't think anyone or anything is perfect. ;) 4 1/2 would be my rating though! 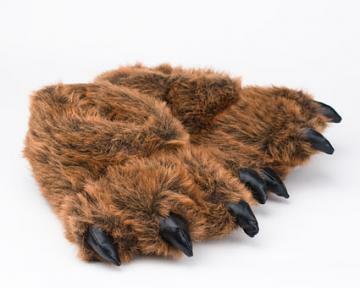 Advantages: These keep my feet toasty warm. 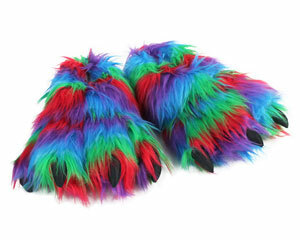 These were great and fit for any size foot but after 2 hours of walking outside on Halloween they started to fall apart. Not that much padding on bottom. 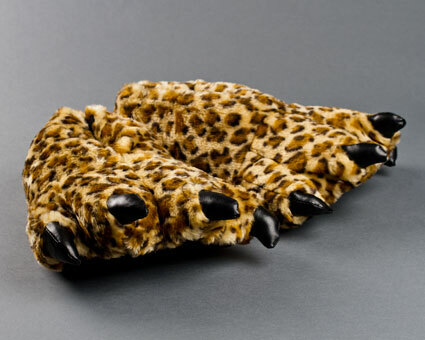 Advantages: Warm feet, very comfy. Disadvantages: Falling apart. Not much padding. Thank you got them. They keep my feetsies very warm!